Now that every Team Fortress 2 class has received his (or her) class-specific update, where does developer Valve go from here? Onward and upward, with at least one new substantial update, due soon(ish). PC Gamer writes that Valve is planning an update to the venerable class-based shooter within the next month—*Valve Time notwithstanding. That new version will reportedly add "item trading, a brand new game mode, and around twenty new weapons and hats." Yeah, item trading. Time to unload some of those Tough Guy's Toques and Backbiter's Billycocks taking up space in your TF2 inventory for highly coveted white earbuds (or whatever). The new weapons and hats come from the community, the winners of that Polycount competition that bore delicious, deadly fruit in the form of weapons like the Scout's Holy Mackerel and the Pyro's Degreaser. 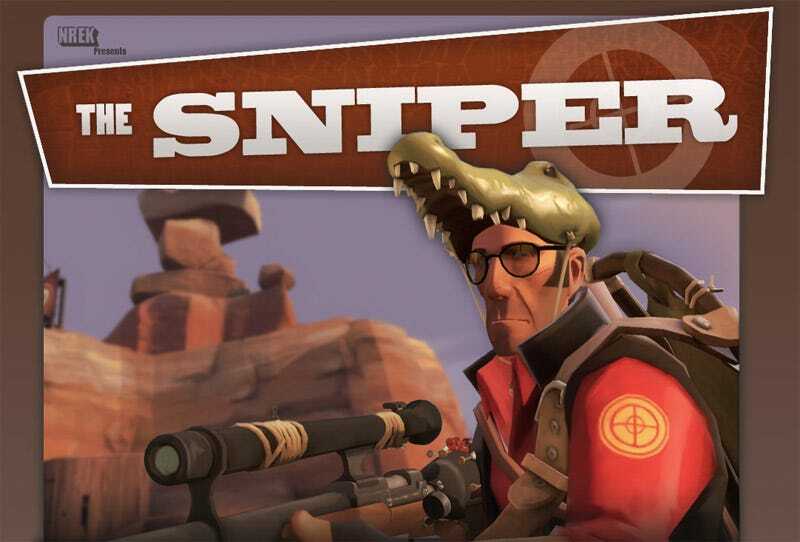 Fancy hats like the Sniper's Ol' Snaggletooth and the Spy's Fez will make this one of the most fashionable updates yet! Valve's Robin Walker promises more to come for Team Fortress 2, so watch your Steam feed.